It’s very normal to be intimidated by the GRE math section. It feels high-stakes, and math is a scary subject for lots of people. Unfortunately, lots of us have internalized the idea that we are bad at math, which causes us to avoid and fear math. This creates a feedback loop in which our math performance is negatively impacted by our anxiety and avoidance, which increases our anxiety and avoidance, and so on and so forth into infinity. This phenomenon is known as “math anxiety,” and it appears to impact women more often than men, even though there is no innate difference in math ability between boys and girls. If you feel like you need GRE math help, the first thing you need to do is tell yourself that you can do math! Most people who are afraid of math are far better at math than they think they are. Believing that you can get the score you need on the GRE Quantitative section will go a long way towards helping you actually get that score (you can see the next section for more on figuring out what score you need). The math on the GRE is not super-advanced—it mostly stays at the high school level. But no matter how rusty you are (or even if you failed high school algebra), it is possible for you (yes, you!) to reduce math anxiety and learn GRE math. Luckily, there are lots of strategies out there for reducing math anxiety, including mindfulness and relaxation techniques, positive self-talk, and practicing at least a little math every day. I advise incorporating these techniques into your GRE math study regimen to help you feel more confident and collected throughout your preparation journey. 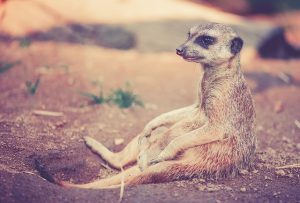 This meerkat is using mindfulness to combat math anxiety. Now that we’ve established that you are capable of learning GRE math, your next step is to figure out what math score you actually need, and how far away you are from that score currently. Setting an accurate goal score can cut down on your math anxiety by giving you a specific goal to work towards. It helps the task seem manageable. In fact, you may find that you don’t have a long ways to go to get the score you need at all! So what score do you need? Simply put, the GRE math score you need is one that will help you be a competitive applicant for the programs you are interested in. While the current average GRE quant score for all applicants is about 153, you may need a higher or lower score depending on your programs of interest. Does the Program Report GRE Scores? The first thing to check is whether the programs you are interested in report the average or middle 50% GRE scores of students in the program. If they do, take that number, add 1-2 points per section, and boom, there’s a competitive GRE score for that program! You might be thinking, “but higher is better, right?” Actually, there’s not a whole lot of utility in getting a GRE math score that’s way higher than the average for applicants (except maybe for funding purposes). In general, the GRE helps get you get in the door, but a super-high score won’t be enough to get you in if you don’t meet the program’s other criteria for successful applicants. Which section is more important? The second major thing to think about is what kind of program you are applying to and which section is more important. In general, for more humanities-focused disciplines, your Verbal score is far more important (and your Quant score may even be basically irrelevant). However, this doesn’t mean that Quant won’t matter for you at all; in social sciences disciplines, for example, both scores tend to be of interest to admissions committees. Interestingly, if we look at the average scores of applicants, we can see that average scores on sections of the GRE vary a lot by the students’ disciplines of interest. The lowest discipline-specific Quant average, in Education students, is 149—a whole 4 points below the overall Quant average of 153. The highest discipline-specific Quant average, Engineering, is at 159—6 points above the overall average and ten points above the Education average. Note that these averages are just for prospective applicants, not necessarily successful applicants. So depending on the competitiveness of your program, you may need to aim higher than the average. However, you can see that you’ll be compared to very different pools of applicants in different disciplines. More competitive programs tend to require higher GRE scores in general. However, again, this is mitigated by how relevant a particular section is. A competitive English PhD program may well expect a 170 on Verbal but they probably don’t care about your 145 on Quant. 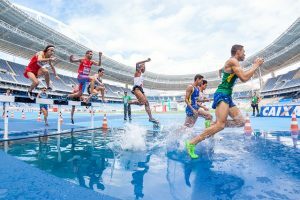 Is your program so competitive that there’s a steeplechase race to get in? Once you know what score you need, you need to figure out how far you are from that score now. You can set a baseline by taking a complete, timed official practice test (preferably from PowerPrep II). PowerPrep will give you a projected Verbal and a projected Quant score based on your performance. These are just rough estimates. Depending on the root of your struggles and how fast you learn new material, it may take you somewhat more or less time to make these improvements. Now we’ll move on to pinning down exactly what kind of GRE math help will serve you best, how to get it, and how to get the most out of it. What GRE Math Help Do You Need? 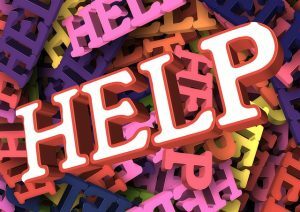 Once you’ve figured out the score you need, the next step is to figure out what it is you actually need GRE math help with. Do you struggle with content (the underlying math concepts tested), GRE style/format (how the questions are arranged, presented, and delivered), or some combination of both? Identifying and targeting your specific weaknesses is the surest way to raise your GRE score. We’ll go over the GRE’s content and the test’s format/style to help you figure out what you need the most GRE math help with. The “content” portion refers to the underlying meat-and-potatoes math skills that the GRE is testing. The skills that the GRE tests can be loosely sorted into four main topic areas: arithmetic, algebra, geometry, and data analysis. 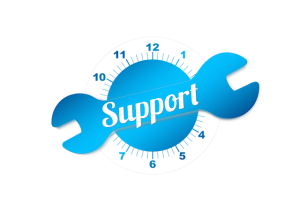 Within each of the main topic areas, there are a variety of sub-concepts tested. Arithmetic refers to the most foundational knowledge of mathematics: the properties of numbers and performing basic operations. Algebra involves working with variables and equations. Geometry refers to working with the properties of shapes (2-D and 3-D), lines, and angles. Data analysis refers to working with sets of numbers. Are you unfamiliar with a lot of these terms? Do you have trouble solving problems about these concepts no matter how they are being asked, whether on standardized tests, math quizzes, or homework assignments? Then you are probably facing some content weaknesses. You can drill down on your specific content weaknesses by completing some practice questions on each of the math topics covered on the GRE. These don’t necessarily have to be official GRE questions (or even GRE-style questions), since what you are trying to figure out right now is what underlying concepts you need help with. (Khan Academy is a good resource for this). If you really struggle with practice questions on a particular math topic, you probably need to learn the underlying concepts. You might want to keep a notebook or list to write down the content areas that you struggle with so you know what to prep. Help! I’m drowning in data analysis! The GRE presents math questions in a particular (and high-pressure) format that can take some getting used to. The Quantitative section is split into two twenty-question subsections. These sections alternate with the two Verbal subsections. The GRE is section-adaptive, which means that your performance on the first quant section determines how difficult the questions on your second quant section will be. A more difficult second section unlocks the potential for a higher score. 8-9 Quantitative Comparison questions: On these questions, you’ll be given two values and have to determine if one value is larger, the other is larger, the values are equal, or there’s not enough information. 8-9 Problem-Solving questions: These questions give math problems or word problems. Problem solving questions may appear in multiple-choice, multi-answer multiple choice, or numeric entry formats. 3-4 Data Interpretation questions: For these problems, you’ll need to answer questions based on data presented in a graph or chart. Data interpretation questions can appear in multiple-choice, multi-answer multiple-choice, or numeric-entry format. All quantitative comparison questions will be four-choice multiple choice questions. Other multiple choice questions will be five-choice multiple choice questions. You will also encounter some multi-answer multiple choice questions. These questions will have you select all answers that apply from some number of answer choices ranging from 3-8. Finally, numeric entry questions are essentially free-response questions. You won’t have any answer choices to select from and you’ll enter your response into a box. If you struggle with time management, make careless mistakes, or have trouble understanding question or section directions, you probably need GRE math help aimed at mastering the test format and style. You can drill down on your specific format weaknesses by taking a few timed GRE math practice sections and analyzing any mistakes you made. Are you running out of time at the end of the section? Are you misreading the questions? Is there a particular question type (like Quantitative Comparison) that trips you up? Note that if you have a lot of content weaknesses, I would actually advise learning the foundational math skills you need before you try to figure out what your GRE format weaknesses are. If you don’t know the math skills needed to solve the questions, it will be hard to tell what your actual issues with the format are. 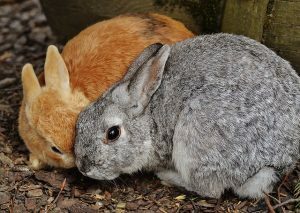 Wouldn’t it be nice if all math questions on the GRE were accompanied by adorable bunnies? An important part of getting the best GRE math help for you is finding preparation strategies that will work with your budget, learning style, and needs. We’ll discuss some potential prep strategies you could use and the pros and cons of each of using these resources to get GRE math help. 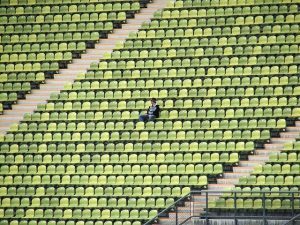 Lots of students study for the GRE by themselves, without outside help from prep courses or tutors. They gather their own resources, set their own schedules, and work through their own mistakes. You can tailor your prep to your own needs, so if you don’t want to spend too much time working on, say, the Verbal section, you don’t have to. This is pretty much always going to be the cheapest prep option out there! Your biggest expense, if any, is likely to be a prep book or two. If you really struggle with math, you may find it hard to teach yourself the concepts you need to learn. Similarly, if you get confused about a concept or question, you’ll have to find some resource (or person) to explain it to you or you’ll just stay confused. If you are only going for a bump of a few points to your Quant score, self-studying is probably fine. However, if you need lots of help with underlying math concepts or you are going for a sizable score jump, self-study may not be the best choice for you. It can be hard to teach yourself math without a lot of structure and guidance. You could also sign up for an in-person prep course taught over the course of a couple months at a consistent time that works with your schedule, complete with homework and attendance logs. It’s like high school all over again! You will have an actual person to explain material to you and answer your questions in real-time, which is incredibly helpful if you are really confused about a particular concept or question. Doing a prep course will help keep you on-track in your prep and ensure that you are doing at least some regular preparation, because you’ll be accountable to someone else (an authority figure, no less!) for the work that you’ve done. If you learn particularly well in a classroom environment with other people, prep courses can provide that. You have to sit through the whole course, which probably won’t be closely tailored to your needs. Most courses are aimed at all three sections of the GRE, too, which may not be helpful for you. This means you’ll probably have to spend at least some time doing preparation you don’t really need for things you are already strong in. You won’t get the same kind of individualized attention and tailoring to your needs that you would get from a tutor or a good online prep program. Instructor quality for prep courses is highly variable, and there’s often no way to request a particular instructor. If you end up despising your teacher, you may not get a whole lot out of your experience. 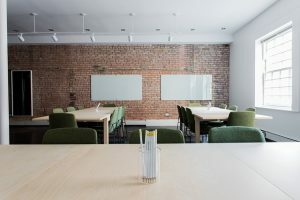 Since most prep courses are offered by branded test-prep companies, you will most likely have to use their branded resources. This means you may not always get the best prep resources for use in class. In-person prep courses are typically quite expensive. Who should do a prep course? If you have a higher prep budget, you feel that you learn better in a classroom with other people, and you need a prep option that keeps you on track and accountable, a prep course can be a good option. Otherwise, your money is probably better spent on a tailored online prep program or tutoring. If you do choose to do an in-person prep course, try to get information from friends and acquaintances about their experiences with various providers and instructors. If you can get an instructor that a friend had and liked, even better! We have tips on finding the best prep course for you here. Longing to do your prep in a classroom environment? A newer frontier in GRE prep, online prep courses allow you to get GRE math help online from the comfort of your own home (or phone), on your own schedule. A good online prep program offers you customization and is targeted towards your weaknesses, so you get the GRE math help online you really need without having to do too much work in areas you are already strong in. It’s like having your very own GRE math tutor online! The program is structured for you, so you don’t have to spend time finding resources and planning study sessions. Also, you can typically spend as many hours as you like studying without having to do much advance planning or finding pages of practice questions. Online prep courses are typically less expensive than in-person courses or private tutors, with many similar features. Bad online prep programs are, well, really bad. If the program isn’t tailored to your specific needs, it’s basically like going through a prep book, in which case you may as well just self-study. You are mostly only accountable to yourself, so if you struggle to study consistently, an online program won’t help. You may not have access to a teacher or tutor to explain concepts that confuse you, which can be an issue if you come up against a tricky math concept or question. Who should do an online prep program? If you are overwhelmed by the prospect of trying to self-study for GRE math but you want a lot of flexibility in when and where you can study, an online prep course could be for you. If you do go for a prep course, make sure it is tailored to your weaknesses, like our PrepScholar GRE program is. It’s also good to see what kind of access to additional help you can get if you need a particularly tricky concept or question better explained. 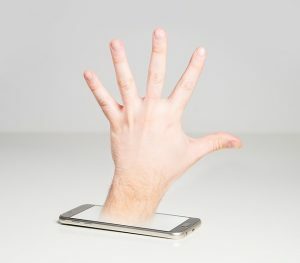 Get the helping hand you need…through the internet! You could also go for the Cadillac of prep options and get your very own GRE math tutor to give you one-on-one, tailored GRE math help. A good math tutor for the GRE is an incredible resource. They can help identify your weak points, explain concepts and questions, and steer you towards the best resources for you. Tutoring is totally focused on you and tailored to your needs, so you won’t waste time doing preparation you don’t really need. They can create a totally individualized prep program targeted towards exactly what you need. A tutor helps keep you on track and motivated throughout a prep program. How much you get out of GRE math tutoring really depends on how good your tutor is. A good tutor can help you make huge leaps and bounds; bad tutors don’t help at all and can even make things worse. GRE math tutoring is often the most expensive math prep option. Who should get a tutor? GRE math tutoring is a great option for people who need to make big GRE math score improvements. It’s also good for people who don’t want to do a course but who just feel overwhelmed and don’t know how to structure a prep program for themselves. If that’s you, and you can afford it, you’ll benefit from the one-on-one attention and guidance of a tutor. However, tutor choice is critical. You should look for a tutor that specializes as a GRE math tutor so you get the particular help that you need. And before signing away any money to a tutor, investigate them a little bit. Look at reviews of your prospective GRE math tutor online if they are available. You can also ask for the contact information of former clients. 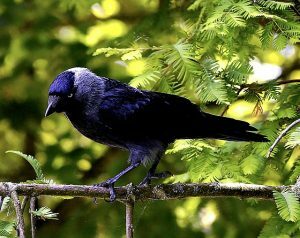 Mr. Raven is a good tutor, but I wish we could do our lessons inside sometimes. Not all GRE math help resources are created equally. So in this section, we’ll go over some paid and free GRE math help resources you may want to use, written and compiled by your friends here at PrepScholar GRE! We’ve tried to focus primarily on free GRE math help resources but have highlighted some useful paid resources like prep books. Official practice tests and questions made by ETS, the makers of the GRE, are the single greatest resource for GRE success. Official tests and questions are the most like the real GRE, so they give you the most realistic (and valuable) practice. We have a complete list of all the official GRE tests that you can get. We also have tips to help you make the most of the free tests available via ETS’ PowerPrep II software. Here’s a complete collection of GRE practice tests—free and paid, official and unofficial. Looking for free GRE math help? Here are the 11 best free GRE practice tests. Here’s our list of the best GRE math practice tests and questions you can get. Question-of-the-day sites are a great way to get in small bites of prep at a time. We’ve reviewed a number of prep books and other resources for GRE math so you can be sure that if you do buy a prep book, it will have what you need. We have a guide to the best GRE prep books out there. I recommend McGraw-Hill’s Conquering GRE Math for students who need a lot of GRE quantitative help. We also have a list to the 18 best GRE math study materials. Here’s our guide to how to best use Khan Academy to study for the GRE. Here at PrepScholar, we’ve made a few content guides for popular GRE math topics. We have a guide to the geometry on the GRE. We also have a guide to acing GRE probability questions. This overview of all the topics on the GRE includes a glossary of useful math terms to know. Finally, we have a list of all the formulas you need to know to succeed on the GRE math section. Here are our expert guides to the format of the GRE math section, along with strategies that take advantage of the format. Here’s our GRE syllabus, with an overview of what’s tested on the GRE, including the quant section. We also have a guide to studying for the GRE quant section if you want more direction. Here are 22 expert tips to help you maximize your GRE quant score. And here are 34 more tips for GRE success. Struggling with quantitative comparison questions? We have a guide. We also have tips on using the GRE math calculator. In this section we’ll go over four essential tips to help you get the most utility possible out of the GRE math help resources you use. Completing some GRE math practice every day will go a long way towards cementing the skills that you are gaining. It will also help decrease your math anxiety, as it will help math to become a routine task instead of a dreaded beast to slay. You may not have time to do a long study session every day, which is completely fine. Even just solving one or two problems on your “off days” will keep the math fresh and turn it into a routine. This calls back to our first section on test anxiety, but it’s very important that you tell yourself that you can succeed on GRE math. Cut out thoughts like “I’m bad at math” or “I’m stupid” or “math is hard” and try to replace them with thoughts like “I can do this,” “I’m good at math,” “Math is a fun challenge,” “I’m great at learning new things,” and so on and so forth. You may not believe it at first, but over time, the negative thoughts will fade and your new mantras will take hold. This will help you feel more confident, which will help you remain collected when test day comes and ultimately improve your math performance. Keep a notebook where you analyze (and re-solve) every math question you get wrong throughout your GRE prep journey. Try to pinpoint exactly what went wrong in each question and note it down. This will help you to identify patterns in your mistakes. Struggling with probability questions? Have a tendency to leave answers in the wrong units? Keeping a log will help you identify those issues. This will help you ensure that your prep is tailored to your weaknesses in an ongoing way. When you practice, you should mimic testing conditions as much as is relevant. This doesn’t mean that you necessarily have to time yourself for every practice question, although you will probably want to complete timed practice sections as part of your prep regime at some point. However, you should try to use a similar calculator from day one of your prep so that you don’t get used to relying on a calculator that performs more functions than your GRE computer-screen calculator can solve. Similarly, try to get used to working alone in an area with low ambient noise (like a library) and using separate scratch paper to do calculations. The more comfortable you are with testing conditions, again, the more comfortable you will be on test day. 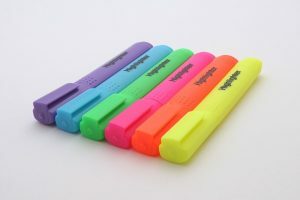 So leave the forbidden highlighters at home when you do practice questions! If you’re feeling really stressed about GRE math, you’re not alone. An important first step is acknowledging and addressing your math anxiety. The first step in getting effective GRE quantitative help is believing that you can succeed on GRE math. Next, you need to figure out what GRE score you actually need and where you are at currently (your baseline). 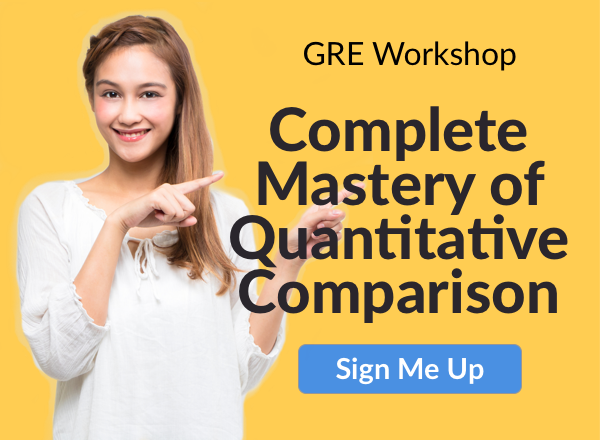 Once you know how many points you need to improve, you need to think about how to improve: do you struggle more with GRE math content, with the format of the Quantitative section, or a bit of both? Try to drill down on exactly what specific concepts or issues are tripping you up so you can address your weakest points. Once you have a good idea of your goal score, where you are currently, and what you need to work on, there are a number of preparation methods you could use to address your primary issues: self-study, prep courses, online programs, or a math tutor for the GRE. There are pros and cons to each method if you need GRE math help. Finally, we gathered together all of PrepScholar’s free GRE math resources and reviews, which will help you figure out exactly what GRE math help resources will work best for you as you prep. You can get the GRE math score you need! Want to know about the 18 best GRE math resources you can get? We can also advise on the four best GRE apps and the 15 best free GRE resources. Not happy with some of your GRE score attempts? Consider using GRE Score Select. You can also retake the GRE for an improved score or consider applying to schools that don’t require the GRE. Need help with another section of the GRE? We have tips on acing GRE Verbal and the best GRE Verbal practice you can get.